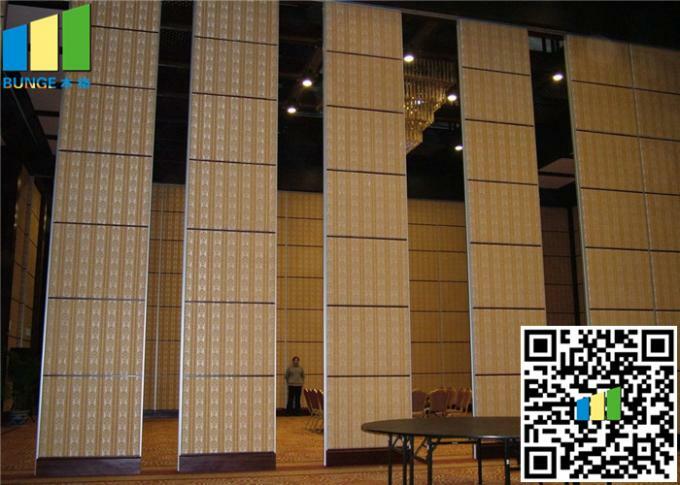 Bunge movable wall partition is made of high quality anodized aluminum frame with environmentally composite materials.the panels move on a ceiling track with no requirement of floor guides or rails.,the panel has a standard thickness of 65mm ,80mm and 100mm,and a width up to 1230mm.Maximum height can reach 17meter tall. 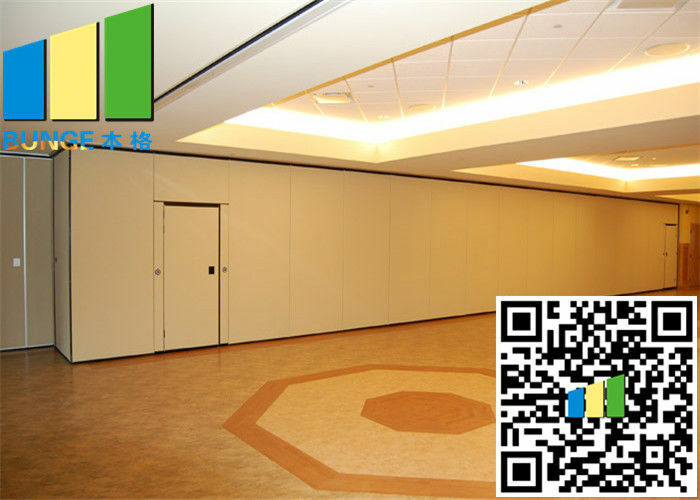 The movable partitions consist of a series of concave/convex profile interlocking flat panels and the fast set retractable top and bottom seals ,its provide excellent acoustic insulation property of from STC-32 to 53 in laboratory setting.Its high performance per dollar value and the easiest in-field operation makes it very suitable for restaurant,schools,office,religion,hospitals,shopping arcades and many other indoor applications product. There are wide of range face finishes are available :melamine faced MDF or Plywood,,fabric,carpet,fabric,artificial,leather,wood veneer,high pressure laminate,Formica ,acoustic panel,white boad ect.,panels may also be supplied unfinished for field decoration,Standard frame color is clear anodized aluminum,custom powder coating colors are available. Bunge works with Architects,designer,developers,contractores and owners in design product selection,decorative finishes,project management and after-sales warranty services as her one-stop solution business service. 5) Available in wide range of finishes. 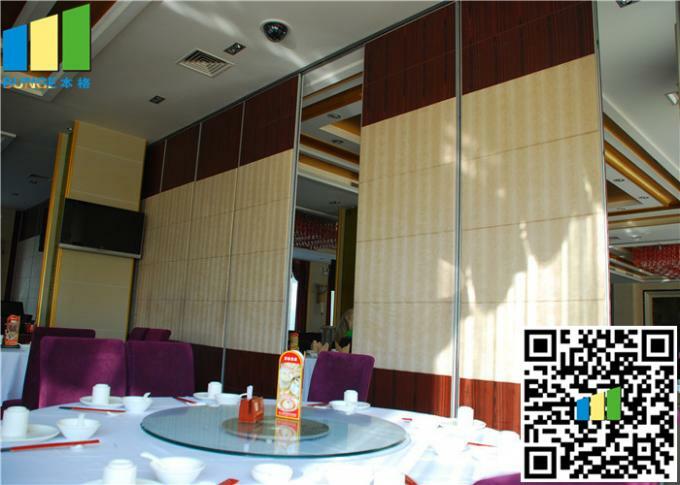 6) Fast delivery and Rich experiences in oversea project installation guide & supervision. Our movable and operable partition system accessories are custom for each client and project , and they are also made of superior material. Track system for right-angled configurations with cross- roller carriers for element weights up to 500 kg. Support rollers in the junctions guarantee easy operation when sliding the elements across intersections . 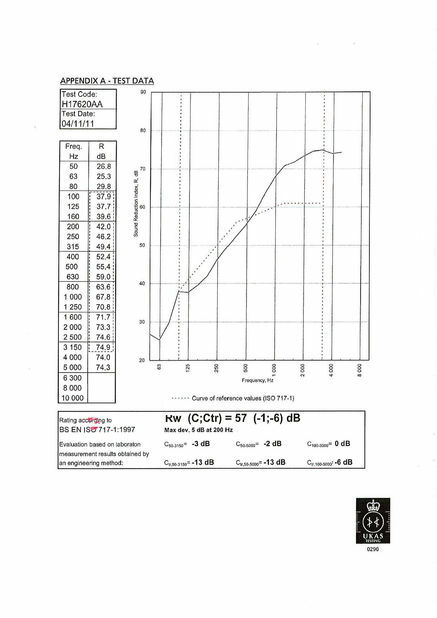 Besides the high sound absorbing test, we have passed the Eco-protection test and Fireproof test , to ensure you to get the top quality product, and enjoy a safe , comfortable and low carbon emission way of life on movable and operable partition system . It's widely used at huge stadium, cinema, meeting room , office room, music hall , theather and work shops etc . 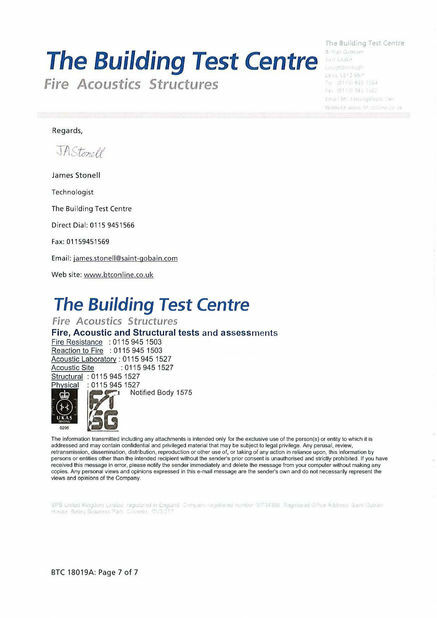 any places where need sound absorption can use this products . Partitions shall be top supported, manually operated panels stacked in an area nominated in the plans. 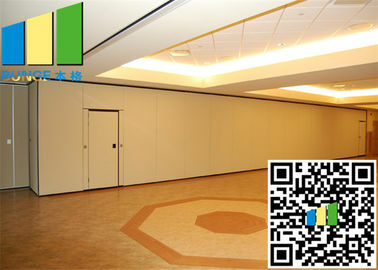 When closed, the operable wall shall provide a complete sound retardant barrier. No floor track shall be used. BUNGE Centre / Side / Remote stacking system with a Two wheeled nylon trolley made with the base Material of POM 45 tempered steel shall be used as per approved stacking method .